Are We There Yet?? : How Sweet It Is to Meet Another Blogging Friend in Real Life! How Sweet It Is to Meet Another Blogging Friend in Real Life! Having lost any time management skills that I might have once possessed, I am still working on writing posts about my July trip to Canada and Niagara Falls where I not only got to see one of the most amazing natural wonders in the world but also was privileged enough to meet another blogging friend. One of the greatest things to ever come out of my having started a blog is all of the wonderful people that I have had the opportunity to meet both on-line and in real life and I was thrilled to have the chance to meet Carole as she is a woman after my own heart. She loves history, she loves learning about history, and she loves to travel around as much as she can to find that history and share it with her readers along with all of the other wonderful things she writes about at Pea's Corner. I always thought that it would be a lot of fun to get together with her and explore and I wasn't wrong in the least! Carole lives in Sudbury, Ontario which is a good six hours away from Niagara Falls but she often visits the area with Steve, her special someone, and I am always amazed at how much they can pack into one day! Sometimes I think the days are just longer up there in Canada as she manages to fit so much in and the day that she and I got together was no exception! As a matter of fact, that's part of the reason it's taking me so long to get all of the posts written as we went to so many great places in one day that I darned near wore out the Nikon taking pictures! Still, I will hopefully have those posts up soon at The Distracted Wanderer so I can share as much of the Niagara area with you as Carole and Steve shared with me. 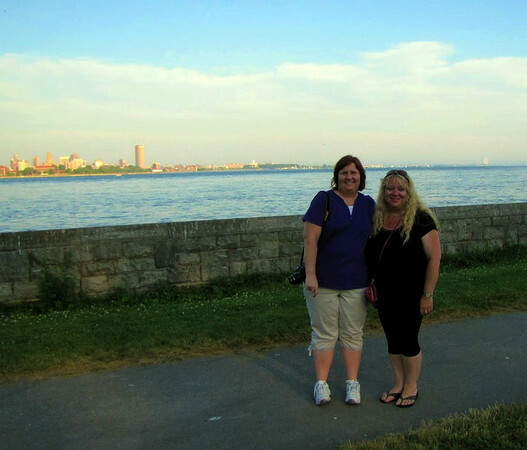 In the meantime and until I can get those posts written, the picture above is of Carole and I posing in front of Lake Erie where we went later in the evening in order to take a "Ghost Walk" at Old Fort Erie. You can see the city of Buffalo, New York behind us in the picture and now that I've been there and seen both Buffalo and Lake Erie, I'm going to know what the weather forecasters are talking about when they refer to Buffalo's "lake effect" snow! 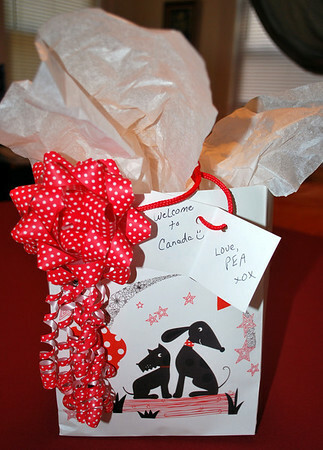 When Carole and Steve came by Kilpatrick Manor, the Bed and Breakfast where I was staying while at Niagara Falls, to pick me up on Friday morning, the first thing Carole gave me after a big hug was a "Welcome to Canada" gift which she had wrapped beautifully in Canada's red and white colors. She told me that it was maple syrup that was made by her brother and having read several posts about her visits to her brother's home and the maple syrup making process I knew that it was going to be good! Before we climbed into the car to head out for our day of sightseeing I brought my gift up to my room and gave Carole a quick look around Kilpatrick Manor so that she could 'ooh' and 'aah' over the rooms just like I had done when I first checked in the day before. Being that I was the only guest at the house my first day there, I was able to show Carole the entire house and she just loved it - but of course! If you've not seen the post I did on Kilpatrick Manor, please feel free to click over here and check it out. Being that we were out until well after midnight and I was totally worn out when I finally got back to my room, it wasn't until I got home to Connecticut that I finally had the chance to open my gift and to my surprise I found not a bottle of maple syrup as I expected but a short headless woman wearing a Canadian dress! 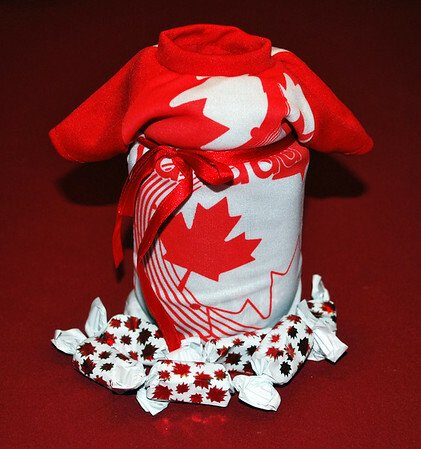 I had to laugh when I saw her it and then have her it pose prettily with some of the very tasty maple candies that had accompanied her it! Turns out, of course, that under that cute little dress was a jar of beautiful Canadian maple syrup just calling out for some pancakes for it be poured on. Naturally I had to oblige! Let me just say that syrup was quite delicious and almost as sweet as the lady who had given it to me though not quite as Carole is definitely a true sweetheart! I had such a good time with she and Steve seeing so many things like historic memorials and old forts and a screaming tunnel and a house where runaway slaves were hidden with so much in between that were it not for the many, many pictures that I took I'm sure I would have forgotten something from our travels! 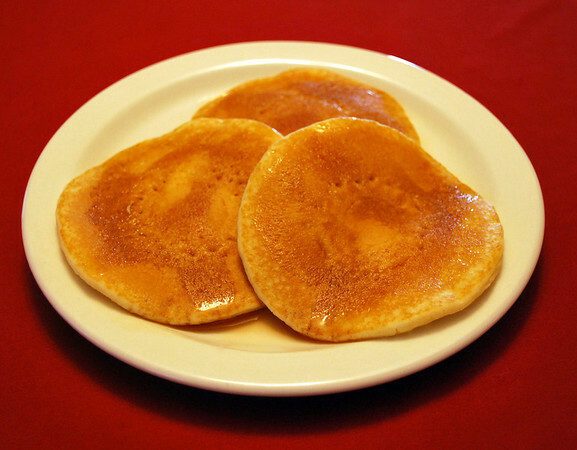 Now to just get it all written up so I can share with you what Carole shared with me ...but this is as close to my syrup as you're going to get! Which is too bad because you have no idea what you're missing! what a thoughtful useful adorable gift!!!! Meeting blogger buddies in person totally rocks! And friends that come bearing gifts is a bonus! So sweet of her! 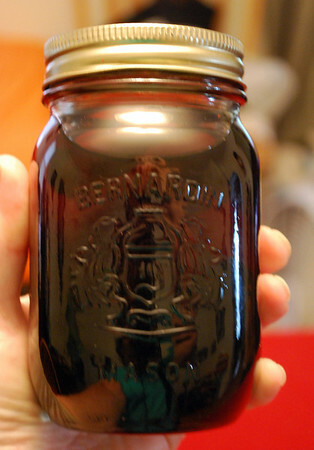 Over the years I have had friends from VT to have given me VT Maple syrup, which I know is somewhat pricey. Guess what? I can only have one kind of syrup or I won't eat it at all... Log Cabin original. I know. I'm a brat when it comes to maple syrup. Me, too, Barb...give me honey any day, not syrup! Meeting blogging buddies is sooo cool! Don't we know that:) Can't wait to read all about it. What a pleasure to meet a fellow blogger it must be! I know what you mean about being slow to write, it took me about a month and a half to blog about our trip to China. And presents. 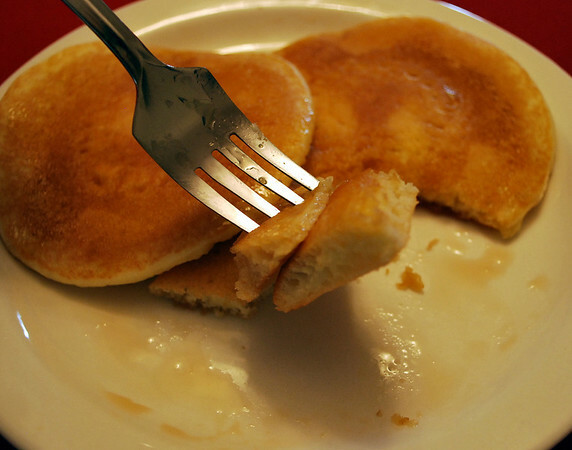 And pancakes! And...presents!